Everyone is trying to catch the sun spot. 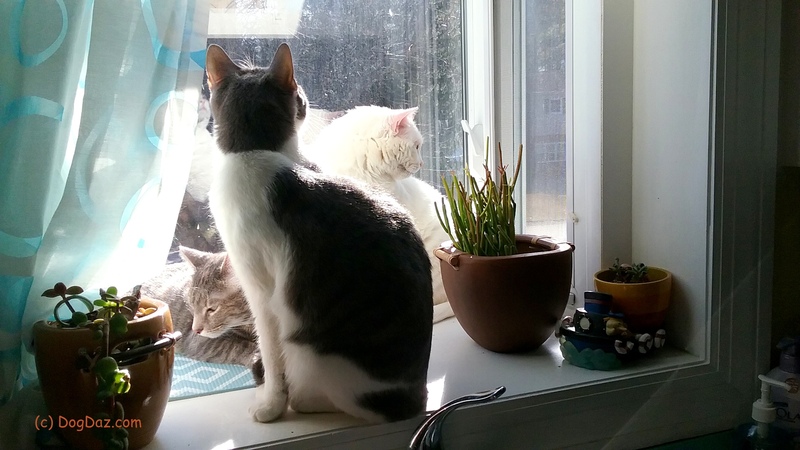 Sometimes they all want the window at the same time. Gosh those winter windows sure do get dirty. The cats don’t mind. Sun gets through all the same. We have lots of dog and cat art on our windows. That’s the best spot in the house!